Tech-enabled transportation options for older adults. Who would have thought of such a specialization before Uber and Lyft, but today, even Uber and Lyft have introduced specialized offerings. All are interested in (or have been) expanding beyond their home base or current business. Some are scalable nationwide – or want to be. Is the service appropriate for the older adult population it is intended to serve? Is there a growing opportunity for home care companies to add transportation to their services, especially those home care companies that already have consumer apps? Does this signal a business opportunity for senior housing firms? Information below is from the websites of the firm or related media. RidenCare. (Southen California) "Ride N Care is a SoCal tech startup redefining how Seniors, medical outpatients and their families find, hire and pay for professional and cost-effective transportation to/from medical appointments, the pharmacy, and even routine shopping trips. Our digital platform and mobile app connects customers with drivers offering door-through-door transport plus companion care for the duration of each trip. Our next generation mobile app gives client-users the additional ability to hire exceptional drivers with professional health care certifications, track transportation location and ETA in real-time, and arrange for payment of both the transport and care companion fees." Learn more at RidenCare. RideRoundTrip. (Philadelphia) "RideRoundTrip provides healthcare professionals — including case managers, unit secretaries, social workers, nurses and other transport requestors — with a simple, web-based portal and mobile platform that connects patients with on-demand, non-emergency medical transportation such as medical cars, wheelchair vans, and stretcher vehicles when and where they need it." Learn more at RideRoundTrip. GreatCall and Lyft. (National) "GreatCall, a technology company that provides products and services to enable older adults to remain independent, has teamed up with Lyft to provide on-demand and scheduled rides for its customers in five pilot markets. The service works with GreatCall’s Jitterbug phone, a cell phone designed to be easy to use for older adults, with a simple interface and health care apps. The new service allows GreatCall customers to dial a live operator and get an on-demand or scheduled ride without needing to download and navigate the Lyft app." Learn more at GreatCall. GoGoGrandparent. (National) "GoGoGrandparent wants to let folks live in their home for as long as possible. We started because a grandmother's license was expiring, she had glaucoma in both eyes and was facing a future where she would be dependent on others. By using on demand technology in a way she could understand, we were able to change that.Today GoGoGrandparent connects seniors to Uber. Soon we'll be doing the same thing for meals, groceries and medicine. We are working towards a platform that loved ones and their families can use to take care of each other without upending life." Learn more at GoGoGrandparent. RideWith24. (California) “RideWith24™ gives you the accessibility of ordering on-demand rides without the use of a smartphone or app. All it takes is a simple phone call to one of our 24/7 concierge representatives. Need a ride scheduled in the future? No worries, your 24/7 live concierge can schedule a single or repeated rides. Need a ride now? No problem, our service is on demand and available 24/7/365. 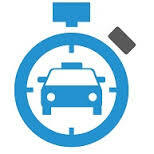 Just give us a call and we can have a ride to you in less than 15 minutes.” Learn more at RideWith24. Permalink Submitted by Laurie Orlov on Thu, 02/09/2017 - 18:09. If I became a gambling man, I’d bet a pocket of coins transportation services has the possibility of becoming a cottage industry in home care. If so, the need for specialized transportation services could continue growing, so Uber and Lyft could outsource their service needs to companies similar to RideWith24. If so, this trend could become similar to calling a toll free number on an infomercial on cable television when ordering a product for a loved one. Second, transportation companies could distance themselves from the competition if drivers obtain professional certification in dementia care and other certifications for aging-related illnesses germane to an aging population. Permalink Submitted by Laurie Orlov on Fri, 02/10/2017 - 15:12. The point I think you should have covered is cost. That is critical for a service that many older people will use for fairly regular transportation, e.g. to visit family or go to an event. The GGG surcharge above Uber or Lyft is kind of expensive for that. I gather that our skilled nursing uses GGG for their residents when needed, not too often so the cost doesn’t matter so much (I’m not sure if the resident or the facility pays it). The others also look pricey except maybe GreatCall/Lyft. I haven’t looked into that because, from the facility’s point of view, doing something just for Jitterbug owners wouldn’t be fair. Incidentally, my wife has a Jitterbug, and I called to see how she could use this service. I was on the phone with them for 45 minutes because several people didn’t have enough information. In fact, no one could tell me what the surcharge over regular Lyft fares is though one guessed it is only one or two dollars (GGG is more than that). Finally somebody suggested that we book a trip both with them and the regular app and see what the difference is. All in all I don’t have much confidence in that operation, and note is only operates in limited areas of the US. It took some time for them to tell me that it works here in Oakland. Considering that your readers are more likely to be providers rather than consumers, I think you should have mentioned Uber Central, which I think does work in lots of places. I’ll attach the relevant portion of my draft brochure which explains it. Note that was as of November—things may have changed a little. We haven’t actually gotten the system started, but according to the Uber person (who visited twice) it is now being used by quite a few senior residences and health care facilities. To me this approach makes the most sense. Permalink Submitted by Laurie Orlov on Mon, 02/13/2017 - 22:34. Technology’s impact on senior transportation is increasingly recognized by the federal government as well. You, or your readers, might find interesting this current grant (applications due 3/21/17) on testing automation and robotics to improve transportation for seniors and people with disabilities (http://www.grants.gov/web/grants/view-opportunity.html?oppId=290866). Permalink Submitted by Donna Cusano (not verified) on Tue, 03/07/2017 - 13:36. Both are part of what are now called social determinants of health.